Cor Cantus means "Heart of the Song" and is a mixed chamber choir from Copenhagen. We started in September 2004 as a group of 14 men and women, mostly with long musical and choir experience, who enjoy singing and having fun together. We address ourselves primarily to gays and lesbians, but anyone is welcome to join us. Cor Cantus' repertoire is varying and consists of music from different centuries and countries, classical and folk songs, musical, evergreens and popular music. It is our aim to entertain, touch, amuse and enrich the audience with our performance. In spring 2009, Cor Cantus participated in the big European gay-lesbian choir festival Various Voices in London. Cor Cantus performs regularily in Copenhagen and other places in Denmark. Are you an experienced choir singer and would you like to meet a group of happy singers? Are you active and committed and would you like to make a difference in an ambitious choir? Do not hesitate to contact us - click on Kontakt on the left-hand side and get more information. 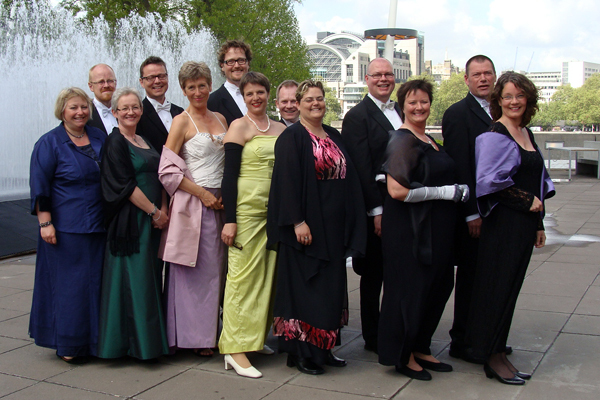 In spring 2009, Cor Cantus participated in the big European gay-lesbian choir festival Various Voices in London.